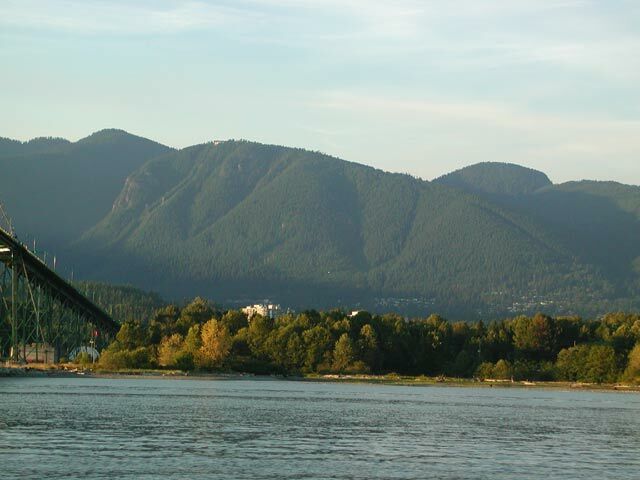 The District of North Vancouver is located north of Vancouver and Burnaby and just east of the Village of Belcarra across Indian Arm. 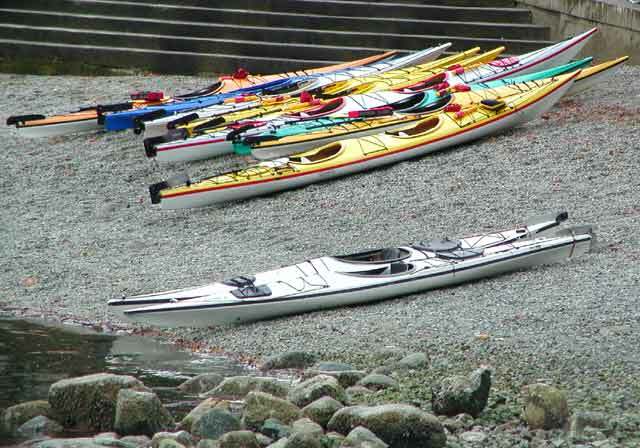 The District is quite large stretching along Burrard Inlet from the Capilano River in the west to the small seaside village of Deep Cove in the east. The District of North Vancouver backs onto Grouse, Fromme and Seymour Mountains which are situated in the north and is referred to as the North Shore. The North Shore area, including the District of North Vancouver, is made up also by the City of North Vancouver and West Vancouver. To get to the District of North Vancouver from Vancouver, the route involves crossing either the Lions Gate Bridge from Vancouver or taking the Second Narrows-Iron Workers Memorial on Hwy 1. Both routes on a clear day will give you panoramic views of Vancouver Harbour, North Vancouver, Burrard Inlet and the North Shore Mountains. 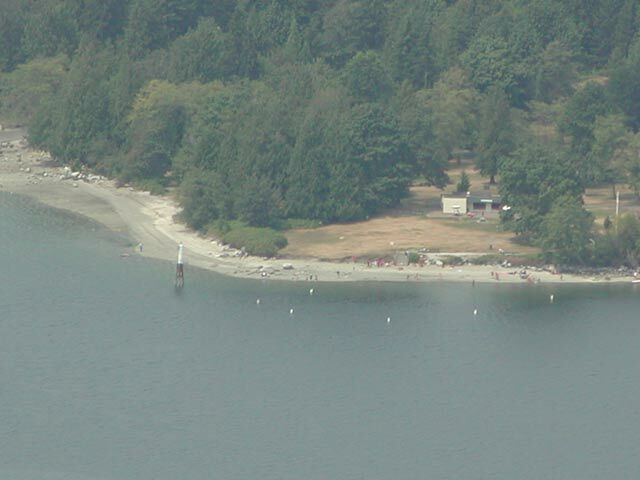 The District of North Vancouver is home to some of British Columbia's most popular tourist destinations. 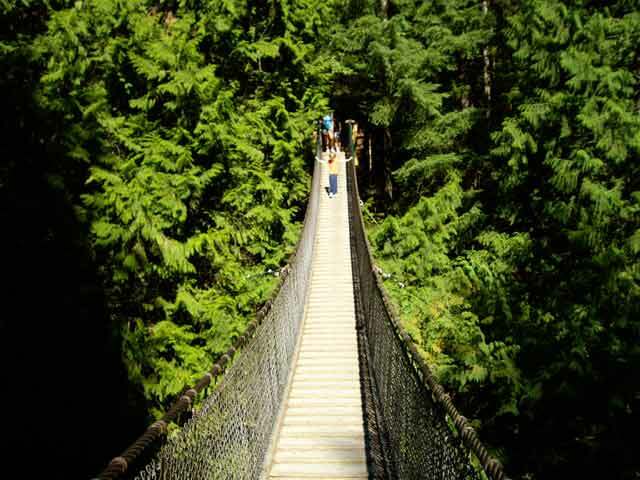 One is the world-famous Capilano Suspension Bridge located on Capilano Road. The Capilano Suspension Bridge has been in existence since 1889 and can offer you awesome canyon views of Capilano River - the subject of many postcard makers throughout the years. Two other tourist destinations close to the suspension bridge are just north on Capilano Road. 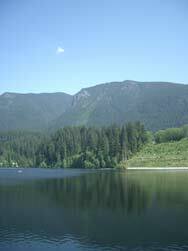 One is at Capilano Dam where there is a beautiful view of the Capilano Canyon and a local mountain to the north called 'The Lions.' The other destination is the Grouse Mountain Skyride, famous for an exhilarating ride and an incredible view of Vancouver. The main shopping areas of the District of North Vancouver are mostly located on upper Lonsdale Avenue, Lynn Valley Mall, Edgemont Village, Seymour Drive, Deep Cove, Main Street and Marine Drive. There is also Park Royal Mall in West Vancouver and in the City of North Vancouver, Lonsdale Quay and lower Lonsdale Avenue, both of which are easily accessed. If you do happen to make it to the Capilano Canyon Suspension Bridge, try a small shopping area nearby called the Edgemont Village. In the 'Village' you can find a number of stores which include a grocery store, pharmacy, banks, a Chevron Service Station, Cobs Bread, plus two coffee outlets, a local favourite called Delaney's Coffee House and a Starbucks. Within walking distance from Edgemont Village on Crescentview is an entrance to Murdo Fraser Park. People might not recognize the name but probably recognize a commercial on TV. 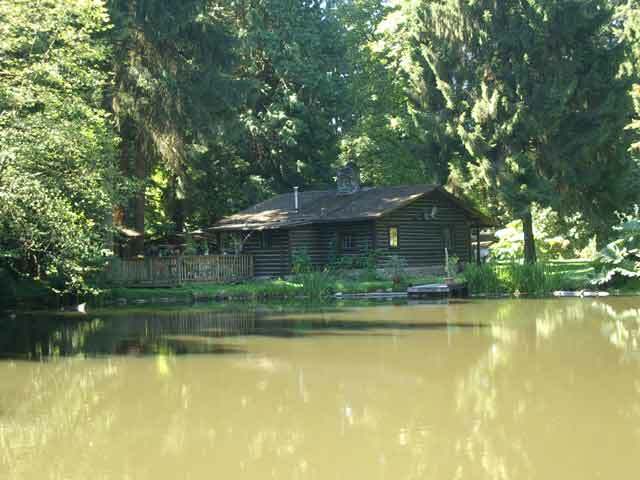 Within Murdo Fraser Park is 'Duncan's Pond' where you can find a small cabin where the local movie studios have made Kokanee Beer commercials. 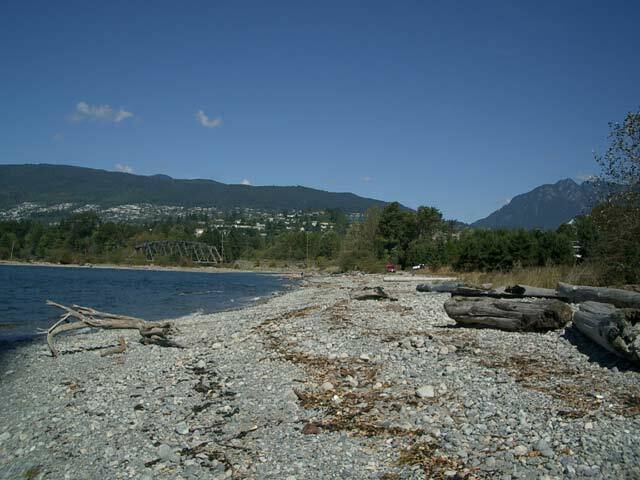 The District of North Vancouver has a number of other nice parks both on the waterfront and in the mountains. 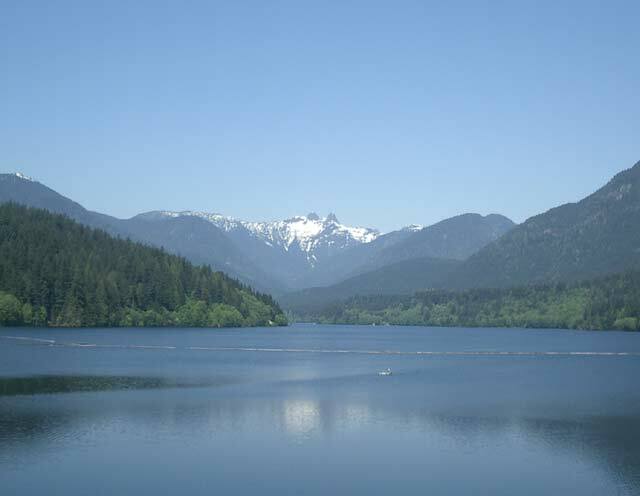 A few favourites include Cates Park/Whey-au-Wichen located on Dollarton Hwy towards Deep Cove, Harbourview off Main Street, Upper Mosquito Creek, Capilano Canyon and Lynn Headwaters Regional Parks. Included in the parks are the large number of recreational facilities which are part of the District's Inventory. Some favourites you can try - the Wave Pool at Karen Magnussen RecCentre - Lynn Canyon located in Lynn Valley, William Griffin Park near the Edgemont Village, Cleveland Dam including the Capilano Canyon River and the Seymour River. 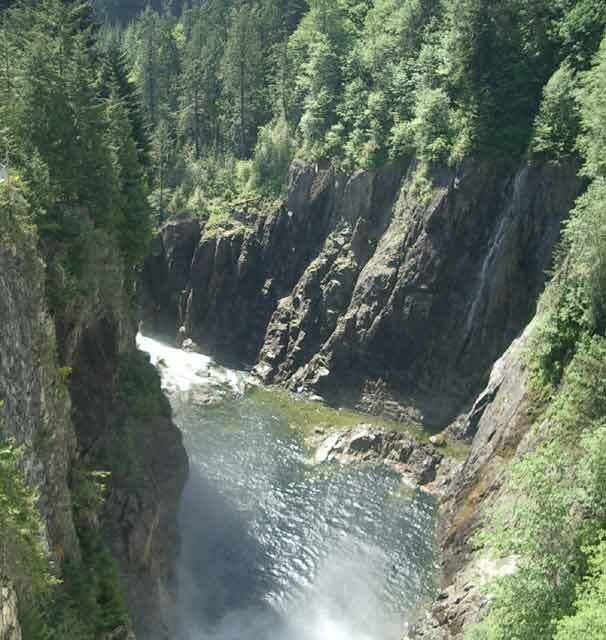 If you're at the Cleveland Dam, make sure you visit Capilano Canyon located on Capilano River. 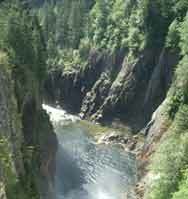 The Canyon has a number of trails throughout the forest as well as the Capilano River Hatchery. The hatchery is very informative and, during a salmon spawn, very interesting for the kids. For other things to do with the kids, try going to Maplewood Farm where you can find lots of learning and animal awareness. This is just off the Second Narrows-Iron Workers Memorial Bridge near Seymour River, Maplewood Farm introduces children to the wonders found on the farm. 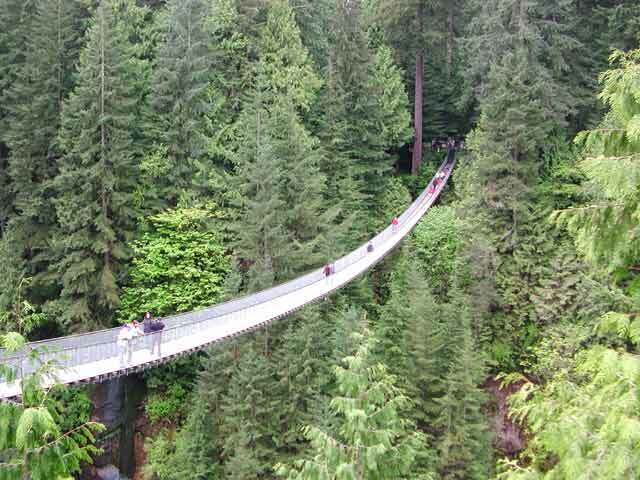 If you happen to enjoy the thrill of the Capilano Suspension Bridge, try to visit the other suspension bridge located at Lynn Canyon. Located off Lynn Valley Road in Lynn Valley, the Lynn Canyon Suspension Bridge takes you across Lynn River throughout beautiful trails along the Lynn River including a section of the famous Baden Powell Trail and '30 foot' swimminghole. Complementing the large number of parks and recreational facilities is the large number of recreational trails for a multiple of uses including mountain biking, beachcombing and hiking along the mountains. Among other things, North Vancouver has always had a strong reputation for having very competitive experienced mountainbiking fanatics. 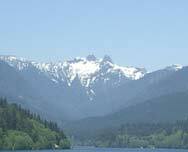 One very popular area is up and along Fromme Mountain, which is just off Mountain Hwy in Lynn valley. North Shore Mountain Bike Association builds and maintains the trails and has brought North Vancouver onto the world's stage for single track. For hiking you can try either Mosquito Creek or do sections of the incredible Baden Powell Trail. The Baden Powell is a tribute to the Scout leader founder goes from Deep Cove all the way to Horseshoe Bay. The Baden Powell can be accessed throughout the District including the Grouse Mountain Skyride, making for excellent day hikes. 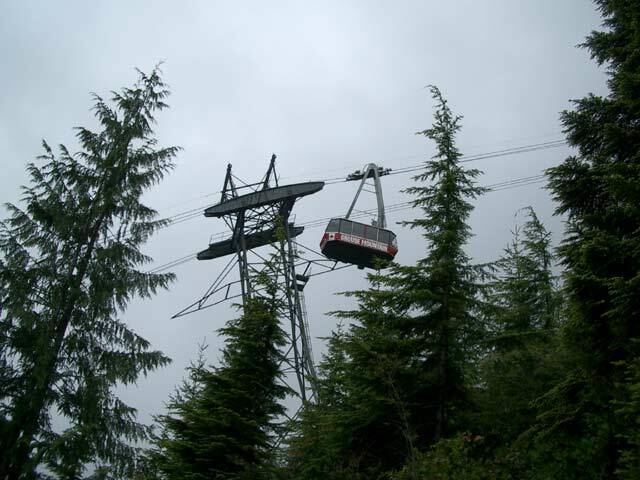 If you happen to go to Grouse Mountain Skyride you can access the Grouse Grind trail. 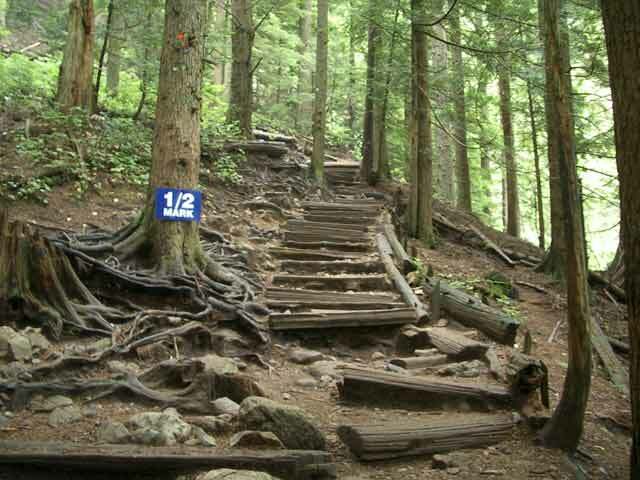 This trail is often described as 'Mother Nature's Stairmaster' and will definitely give you a good workout. If you do attempt it, make sure you stay on the trail, are well prepared and take plenty of water. Other things to do in the District of North Vancouver include travelling up Mount Seymour Provincial Park for more outdoor recreation; kayaking up into Indian Arm Marine Provincial Park from Deep Cove; or, golfing at perhaps one of the most challenging public golf courses in British Columbia called Northlands. For entertainment, there are a large number of restaurants, pubs in the District of North Vancouver. A few favourites found in the District include the Queens Cross Pub at the corner of Lonsdale and Queens, Seymour's Pub at the Holiday Inn for a sports bar, Capilano Heights Restaurant at 5020 Capilano Road for Chinese food. For a great breakfast try visiting the Tomahawk Restaurant a North Vancouver tradition since 1926 which was featured on Food Network TV series - Diners, Drive-ins and Dives. The other main highway route to the District of North Vancouver is by using the Sea to Sky Hwy 99 coming from Squamish and Whistler. If you are coming from the Cariboo Chilcotin, think about taking this route when you drive through Cache Creek. 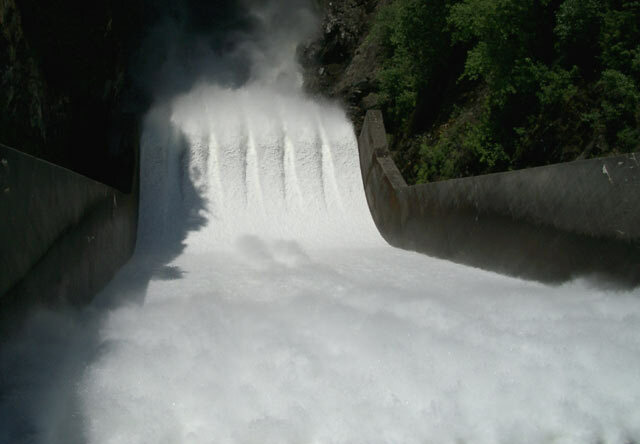 Hwy 99 travels through Lillooet, Duffy Lake and Mount Currie to Pemberton. Just remember if you are enjoying the provincial parks and the countryside around North Vancouver and the rest of BC, please remember this is bear country. Try to avoid the rivers during heavy salmon spawning times unless you feel comfortable with bears around and take the usual precautions. There is also the possibilities of encounters with wolves or cougars so please play it safe.